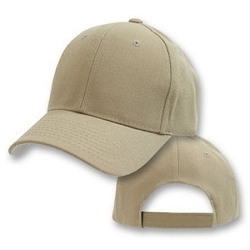 The Big Size Khaki Flexible Cap is a light khaki perfect for keeping cool in the sun. 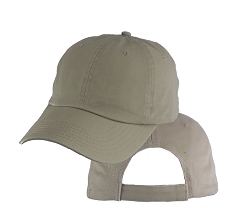 Our Big Size Flexible Caps are all about casual comfort. They are non-structured “slouch” style caps. Although they fit closer to the head than a structured cap, they are still deeper than regular size caps. If you want to dress it up, add an emblem of your choice to your cart along with this hat and tell us in the comment section to attach it. Quality product as usual. Enjoy my purchase very much. I received my caps, the are the best fitting caps I have ever had. I bought one for me and an older friend, he's a bighead fella also, he loves his new cap !!!! If I can find a fitted cap to fit my head the dimensions look awkward and it feels awkward on my head. 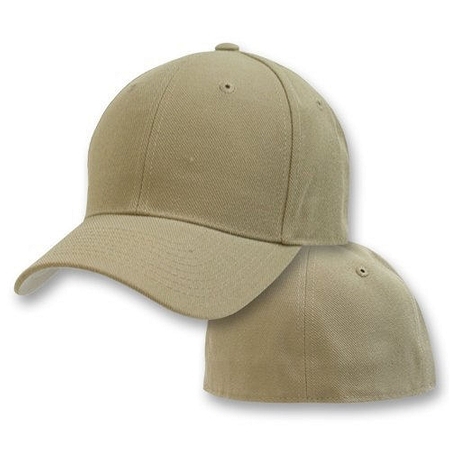 This Khaki cap fits so comfortably I forget that I'm wearing it. The bill is in proportion to the size and does well to keep the sun out of my eyes. This hat fits my size 8-1/4 head fine.